Recently we’ve been out and about spending time with tribunal staff across the country. It’s all part of our work to make the information on GOV.UK easier to find, understand and use. Together with colleagues from HM Courts & Tribunals Service customer strategy, we attended a number of user needs workshops in Leeds, Leicester and London. HMCTS looks after over 40 tribunals. These deal with everything from employment disputes, immigration and visa appeals through to niche areas of the law like food labelling or gender recognition. 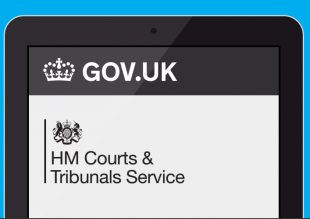 With the expert help of the teams working in the tribunals, we were able to gain important insights into this hugely varied group of users and their equally diverse needs. These present many challenges, but operational staff have an amazing understanding of the issues and have been fantastic at filling us in on their customers' requirements. We’ve already begun the task of capturing all the user needs we discussed. This work will help us plan out exactly what guidance content we should be producing or revising for GOV.UK. The end result should be a site that helps all of our users.